I’m going to give what I sometimes jokingly refer to as the “formula” for discovering God’s call. God is calling you to the place where your tools intersect with passions at the point of the world’s need. I use this image of a map to illustrate how this works. The “X’s” all over the map represent the needs of the world. Of course, these needs are geographically all over the world, but they also represent all kinds of needs. 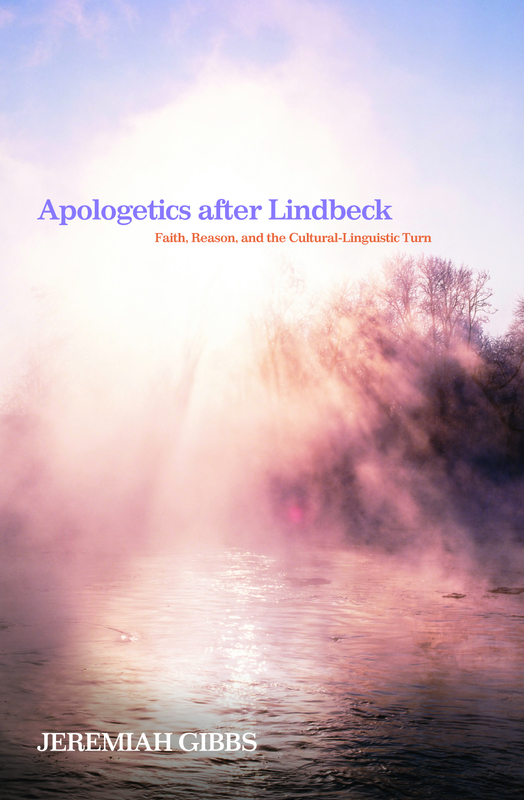 When a teacher pours themselves into a troubled teen or conservationists save a species from near extinction, the Good News of God’s Kingdom is proclaimed. His coming Kingdom is one without death or mourning or crying or pain. And those needs are found in rural Indiana, urban Detroit, and in Nairobi. How to discern which of those geographic locations God may be calling you to serve will be the subject of a later post. The blue circle on the map represents your unique passions. These are the things you really love and also the things that make you really angry. The reality is that no matter what you spend your life doing, there are going to be times that doing it is going to be hard. In those moments you are going to have to be so overwhelmingly committed to what you are doing that you can push through those hard times. You will need to do something that’s within your passions. The yellow circle on the map represents your tools. Even if you are really passionate about some issue, if you have nothing to offer then it isn’t your calling. If all that you have is a hammer, then you can’t fix the plumbing no matter how hard you try. But all of us have some tools, we just need to take inventory of the tools that we have so that we know what we have to offer the world in service. Our tools include our personality, experiences, gifts and talents, and our resources. I’ll dedicate entries to each of these areas in future posts, as well as give some methods and practices to help discern these different areas. Here is where you get to the heart of it. God’s calling for you is found in the overlap between those two circles on the map. One of those “X’s” in the overlap is God’s calling for your life. We spend a lifetime discerning what’s contained in the circle and what is outside of it. It won’t be easy to discover, but it isn’t a secret. Discover your passions. Take inventory of your tools. Become aware of needs in the world. Your calling will be where those three come together, and they will likely come together in multiple ways. If you are trying to discern what God has called you to, whether in work, volunteerism, or church, this is a good time to start an inventory of these three areas. Just write tools, passions, and world needs on a sheet of paper and follow along with this series to take inventory of what God has called you to do. If you are really a creative type, then maybe you would want to create your inventory as a map. 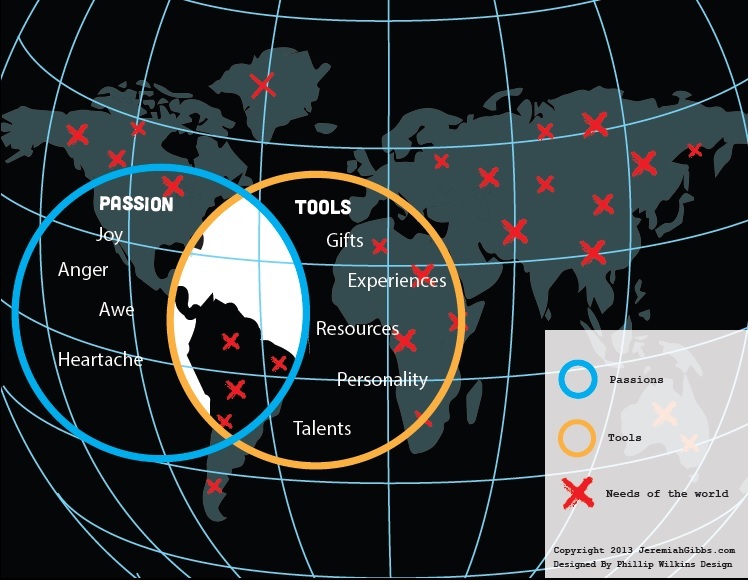 Draw those two large overlapping circles on a map, but leave it blank except for the words “Passions” and “Tools” in each circle. As you discover things that fit in each circle for you, write them in the circle to begin a list. As you discover needs in the world, you can draw an “X” and label it with a need. If you aren’t much of a creative, you can just download the Vocation Inventory. I love the map you made! I think that it is an excellent way to figure out who you are and what you are best capable of pursuing with Jesus Christ. Thank you so much! God bless you!!!! Passions, tools, world needs in relation to the Gospel. Simple, sweet, and solid truth.